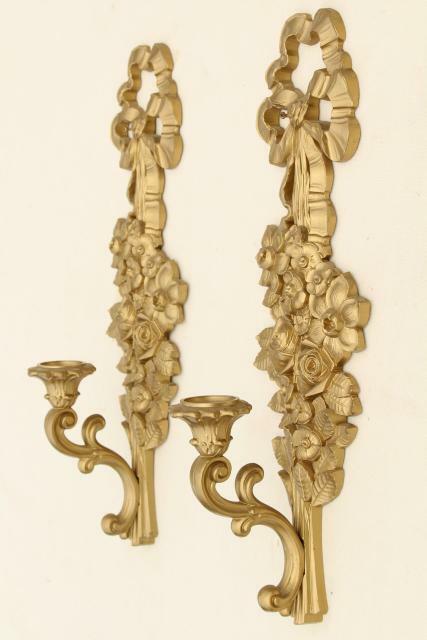 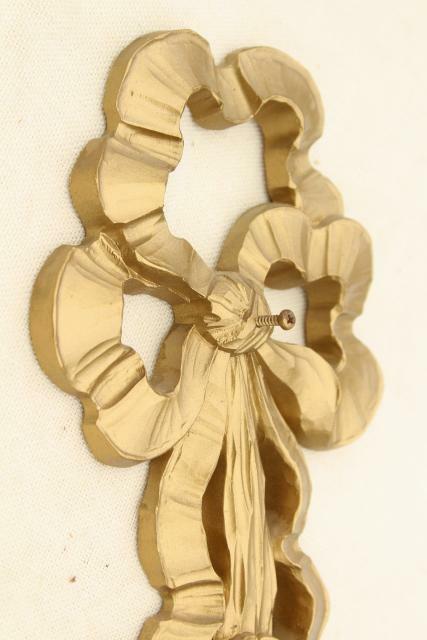 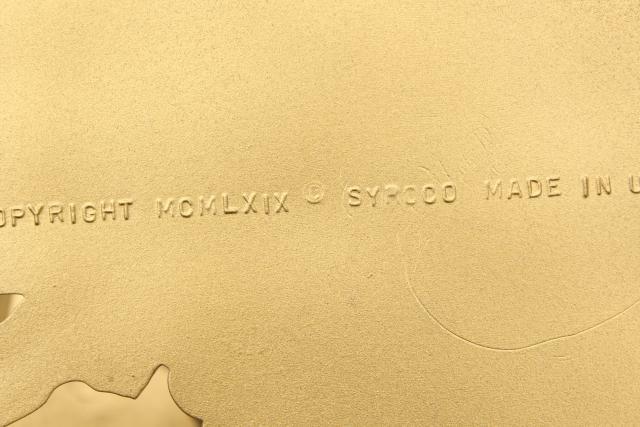 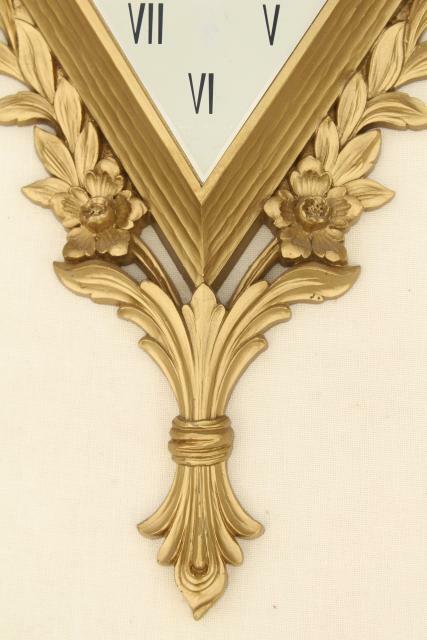 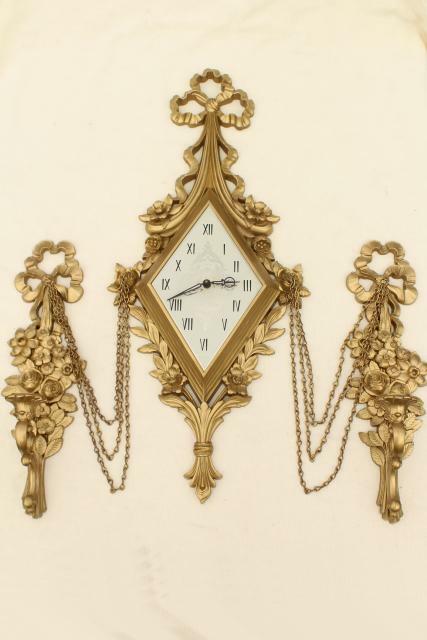 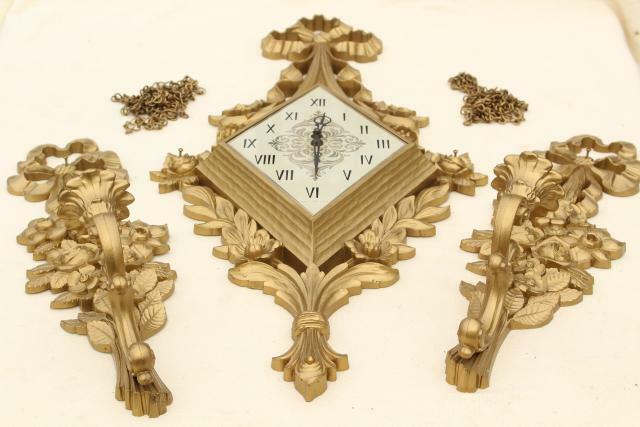 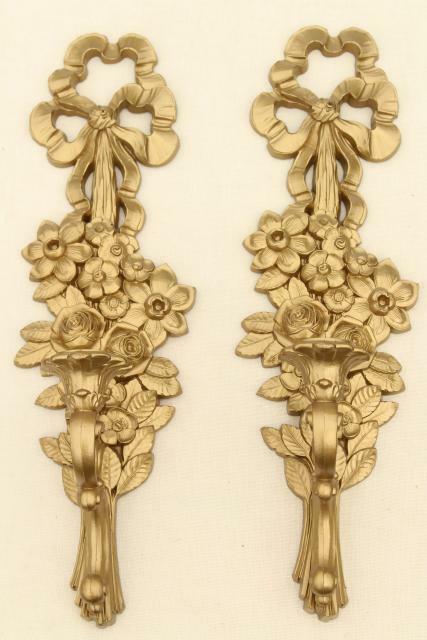 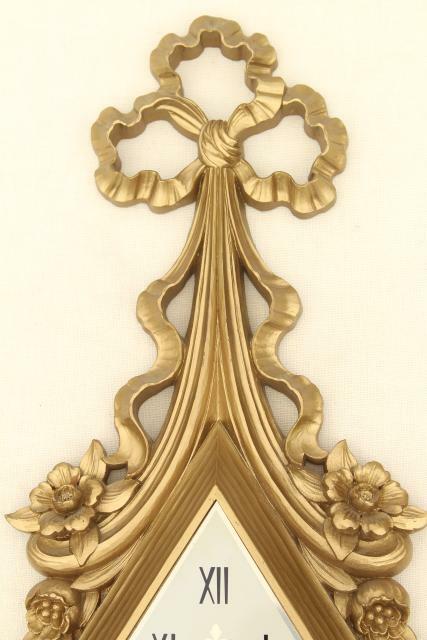 1960s vintage Syroco gold plastic framed clock and wall sconces... this is a gorgeous set, very decorative. 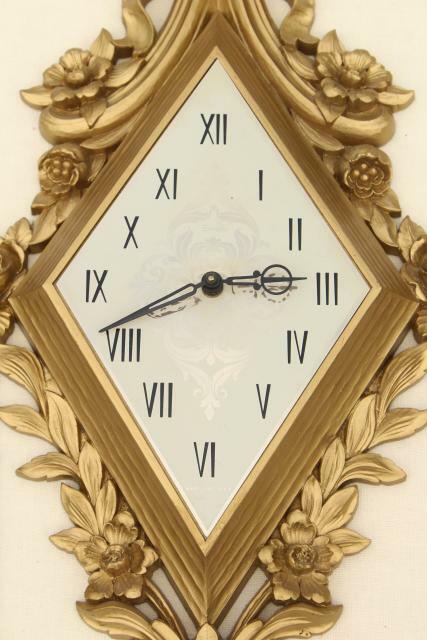 But we couldn't get the clock to work! 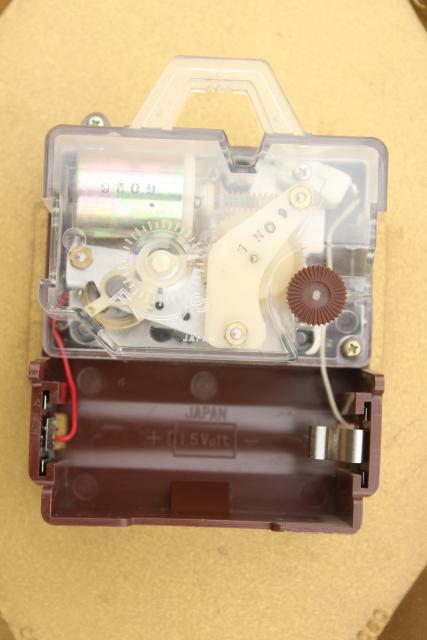 It might be possible to repair this with a new battery or clock movement. 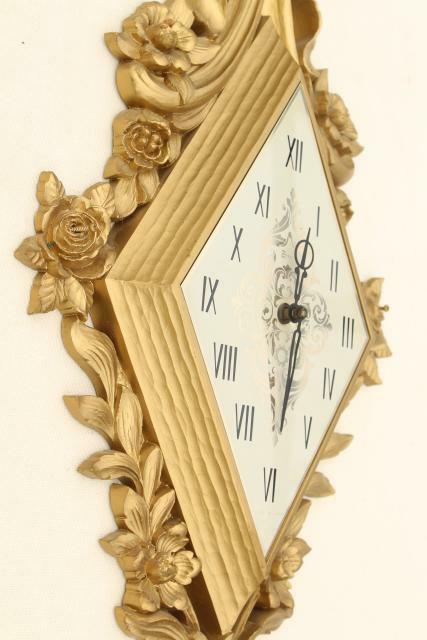 The body of the clock looks good, as do the wall plaques. 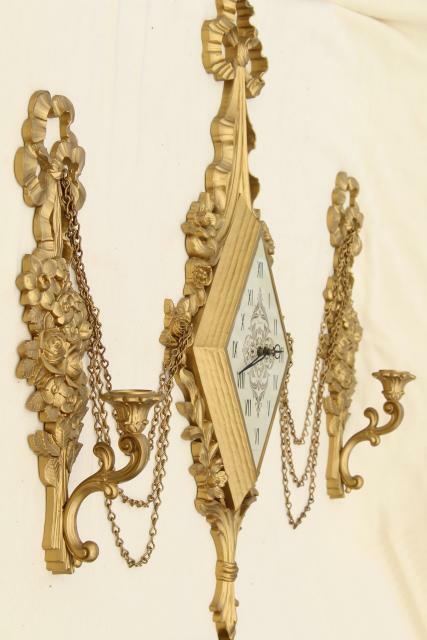 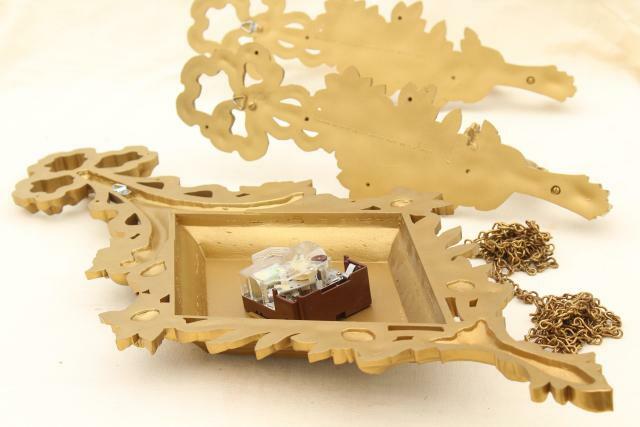 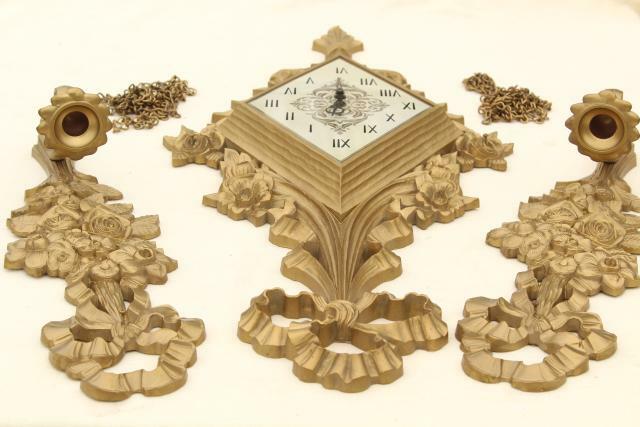 The clock measures 32 1/2" long end to end, and the sconces measure 18" long. 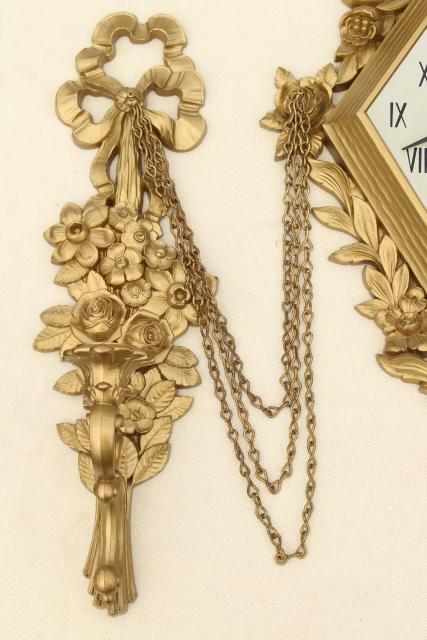 This set is fairly adjustable width-wise, by the depth of loop in the metal chains.